The Song-Beverly Act (also called the Song-Beverly Credit Card Act of 1971) was designed to protect consumers from having their personal identification information stored and subject to unauthorized use by retailers. In 2011, a California Supreme Court ruled that the act prohibits the collecting and storing of customer zip codes when completing credit card transactions, opening the door to Song-Beverly Act privacy violations lawsuits. Under the California Song-Beverly Act, retailers are prohibited from collecting personal identification information (PII) from customers when completing credit card transactions--so, asking for a zip code at checkout time can be illegal. Personal identification information includes information not on the credit card, including the address and telephone number of the cardholder. Companies that ask for your zip code at time of purchse may be viviolatinge the Song-Beverly Act and could face a civil penalty of up to $250 for the first violation and up to $1,000 for subsequent violations. In February 2011, in a case called Pineda v. Williams-Sonoma Stores, Inc., the California Supreme Court found that the Song-Beverly Act extended to the requesting and storing of consumers' zip codes to complete credit card transactions. As a result of that decision, other retailers could now face lawsuits that they are illegally collecting and storing personal information of their customers. 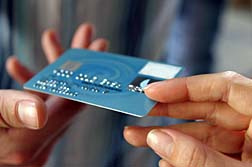 In some cases, zip codes and personal information are taken to prevent credit card theft. In other cases, however, retailers sell the information to third party marketers or other businesses. Under California law, however, retailers are not allowed to store customer zip code information. This does not prevent them from asking for that information as a security measure, but if they record the information they could be violating California consumer protection law. According to reports, lawsuits have been filed against various gas stations and retailers, including Louis Vuitton, Nordstrom, Ikea, Williams Sonoma and Bed Bath & Beyond, alleging they violated the Song-Beverly Act. If you or a loved one has suffered damages resulting from this situation, please fill in our form on the right and your complaint will be sent to a lawyer who may evaluate your claim at no cost or obligation. The Children's Place Up to $26 million in coupons and gift certificates awarded to California residents for collecting and selling customer information. I moved and upon my return I realize I understand that there was a class action lawsuit with Burling Coat Factory that had to be postmarked by January 20, 2016. I have missed it by two days. Is there any way I may submit my claim for the $25.00 Burlington Coat Factory store?